Are you traveling solo or are you a newbie to MarketingProfs B2B Marketing Forum? A little anxious, and maybe even slightly nervous about what to expect? Then you won't want to miss this kick-off event. Join MarketingProfs chief content officer, Ann Handley, and the #mpb2b event team as they take you through the ins, the outs, and all the in-betweens of the conference so you can make the most of your time with us. Also, you'll be able to connect with other solo travelers and newbies so you don't have to go it alone. Space is limited: first come, first served. Because meeting up with our favorite marketers feels like coming home to us, we want you to feel the same. 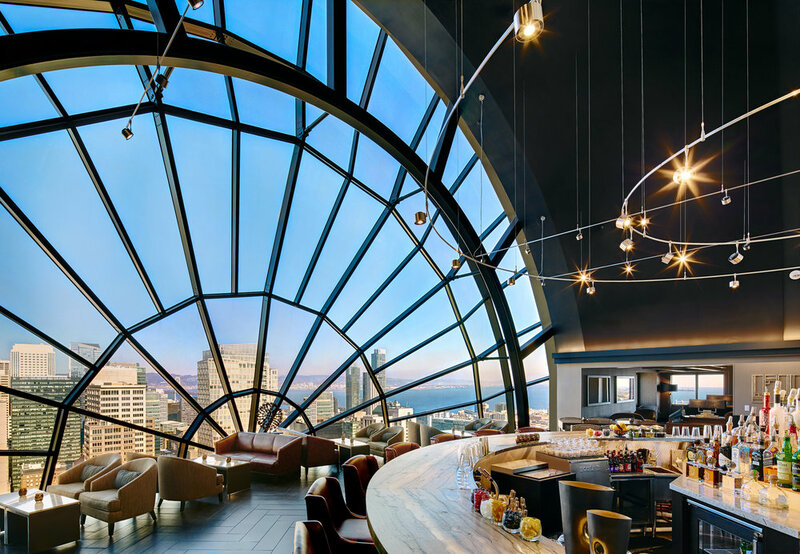 Join us on Tuesday evening as we kick off our 12th annual MarketingProfs B2B Marketing Forum with a Welcome Home reception at The View Lounge: yes, the view is INCREDIBLE. This will be the perfect chance to get settled in, start building (or meet up with) your squad, and get pumped for the learning and inspiration to come. Are you coming to B2B Marketing Forum solo? Do you want to meet new people you haven’t met before? Are you looking for new partners, clients, or hires? Do you want to connect with a friendly face at the beginning of the conference? If you answered “YES!” to any of these questions, this 45-minute speed networking over breakfast is for you! At this fun, casual morning event, you’ll meet marketing peers -- for 3 minutes at a time. Say hello, tell your story, learn about someone new, exchange business cards or Twitter handles, and then move to your next marketing match. After your first full day of learning, put on your travel attire (worn jeans, sunglasses, sneakers) and get ready for a road trip, because we're headed down the iconic Route 66. Try your hand at ring toss or play our sponsor road game for your chance to get a one-of-a-kind Route 66 t-shirt. And when you're ready for a refreshment, make your way down to the gas station bar for a refreshing root beer (or real beer, if that's more your style). So, get on board -- it's going to be one heck of a good ride! If you'd like to see San Francisco from a new angle, you won't want to miss this #mpb2b favorite. You had a jam-packed day of learning and could use a little time to get centered. Join Allen Weiss, CEO and founder of MarketingProfs, to learn what mindfulness is and ask questions about this popular practice. You'll also have an opportunity to practice various types of mindfulness meditation, preparing you mentally and physically for your busy day of sessions ahead. The documented benefits of mindfulness training includes improving workplace effectiveness, promoting happiness, reducing stress, and aiding creativity. Leadership abilities are also enhanced by increasing emotional intelligence and improving the ability to master emotions, which leads to more productive collaborations and effective leadership. Join us to discover first hand the life-altering effects of mindfulness training. This is the time of year to be thankful -- and gosh darn it, we couldn't be more thankful to have you here with us to geek out about all things marketing. So join us, won't you, as we celebrate the spirit of the season. It's a party, yes, but we will also be giving back. All of the food decor will be given to a local non-profit to help those in need in the San Francisco area. Downward dog, warrior one, child’s pose. You don’t have to give up your practice just because you’re on the road. Wake up early and join your fellow yogi marketers for an hour of balance and renewal. Does the thought of running the hills of San Francisco get you pumped? Great. Lace up your running shoes and join your new marketing besties (and fellow running enthusiasts) for a fun morning run to get you energized for another day of learning.